I did play this game until the end, even not getting all the stars. 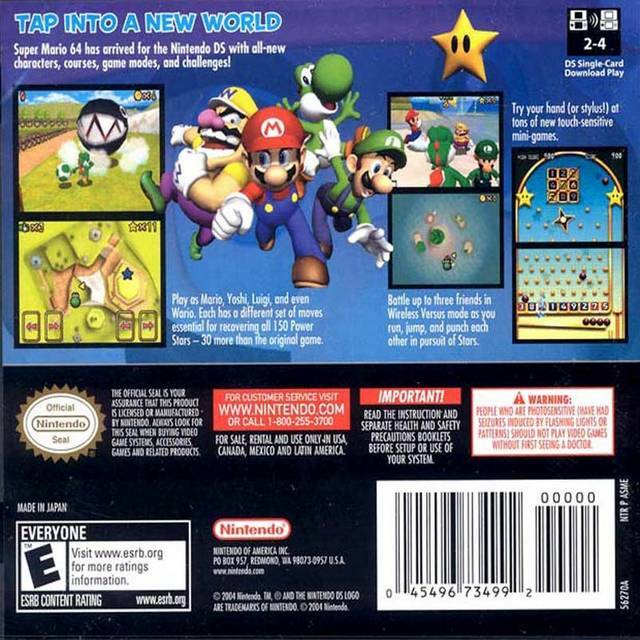 There are many additions to the original game, you can play as 4 characters, each having it's special power (Yoshi, Mario, Luigi and Wario), it have more secrets in each level, including one more star in every level. 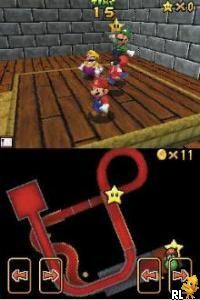 There are special mini games to play just for fun. I think this game was perfectly fitted to this handheld. It's really worth playing. 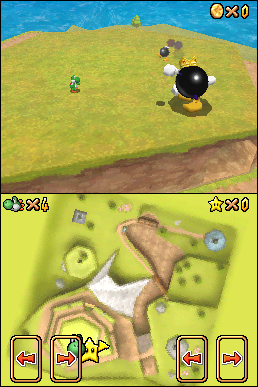 It's like super mario 64 but with a lot more content. Like different playable characters, extra levels, new powers and stuff like that. Absolutely amazing game. You get to play as your favourite character this time instead of just Mario and quite frankly the moves that some of the others can do makes Mario look untalented! 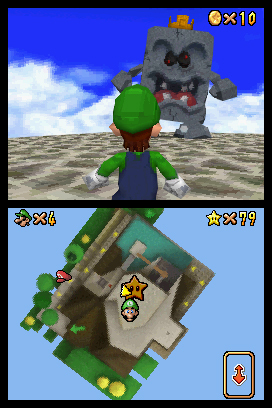 New levels added, extra stars, more fun glitches such as being able to swim under the castle and even mega addictive mini games; especially Luigi's card games! 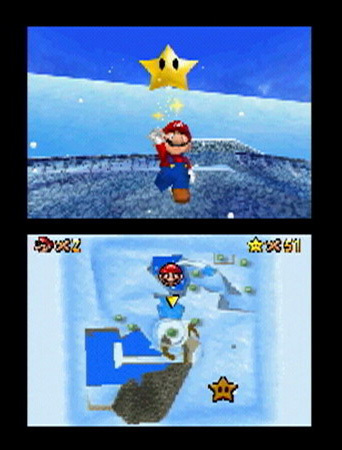 Super Mario 64 was a historical achievement in gaming history, a game that wanted players to explore every part of the vast and detailed land. 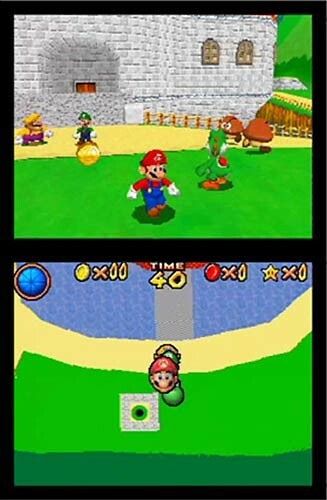 The adventure and ability to reward gamers was unlike any other at the time of it's 1996 release on the Nintendo 64. 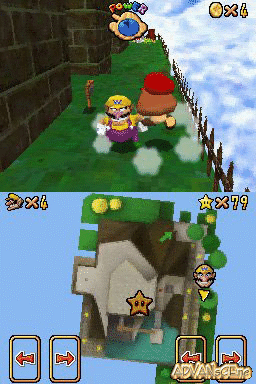 Super Mario 64 DS improves this in every single way imaginable: new characters, new challenges - bringing the fun and excitement we get from the adventure title - to a whole new level. 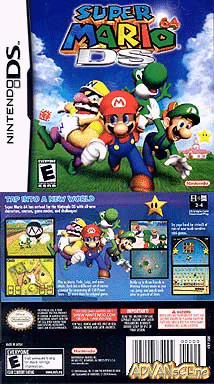 Join Mario, Luigi, Wario and Yoshi as they work together to thwart the evil Bowser who has yet again stolen the Princess Peach from her throne. Take this game to your heart, as much of the gaming population have done, it is magnificent work of art, and you'll love every minute of it. 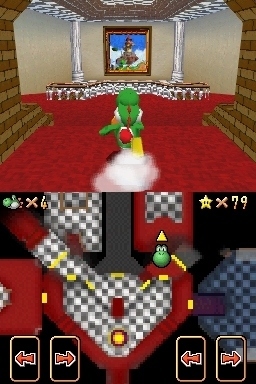 The amazing game originally made for the Nintendo 64 is back for the Nintendo DS! YAY! It's actually quite hard for this game to get old. I suppose it could eventually. But I've owned it for 12+ years (still have it for my N64!) and still enjoy it almost as much as I did when I first got it. Read all 7 reviews for Super Mario 64 DS (U)(Trashman) Submit your description for this title! Now you can add videos, screenshots, or other images (cover scans, disc scans, etc.) 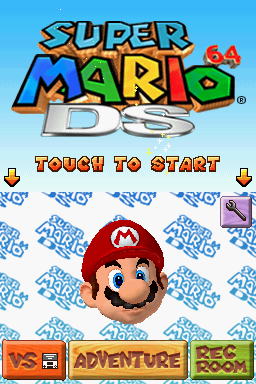 for Super Mario 64 DS (U)(Trashman) to Emuparadise. Do it now! If you haven't noticed yet, we have a retro game of the day feature (top-right of the screen) wherein we feature a new retro title every single day! Now, you can vote for your favorite games and allow them to have their moment of glory. 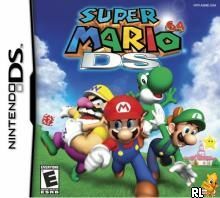 Click on the button below to nominate Super Mario 64 DS (U)(Trashman) for Retro Game of the Day.